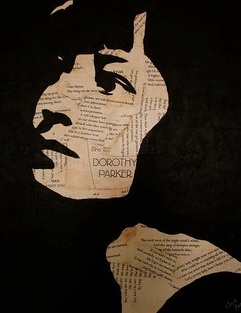 Tonight, 7/27/12, Beyond Baroque Literary/Arts Center in Venice, California, will host a celebration of Dorothy Parker — the legendary wit, poet, short story writer, and satirist. If you’re in the area, stop by at 7:30 P.M. It’s free! Illustration (acrylic, book pages, and chalk) by Kris Heding (ALL RIGHTS RESERVED). Find more of her work here.